She’s considered to be one of the most talented women in stand up comedy. Still. After a 20-plus career on stage, she’s as red hot and funny as ever. 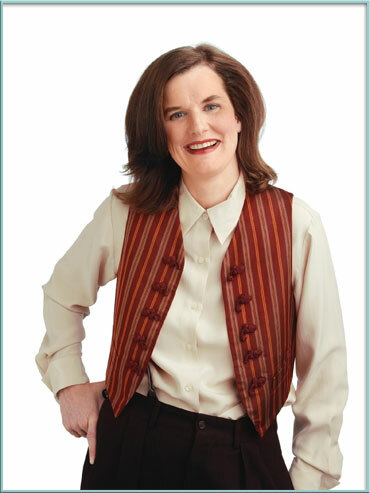 Topical, but never typical, Paula Poundstone explores the humor in every day life, as well as broader issues, too. I’ve known her for years and she hasn’t changed a bit – she’s usually the smartest woman in any room she is in. Here, in an exclusive to us, she reveals her comic influences, writing a book on historical figures and Barbie dolls. Lance Avery Morgan: Paula, you and I have known each other for years… since I lived in Los Angeles and was your PR guy. Did you have a plethora of comedic influences growing up? 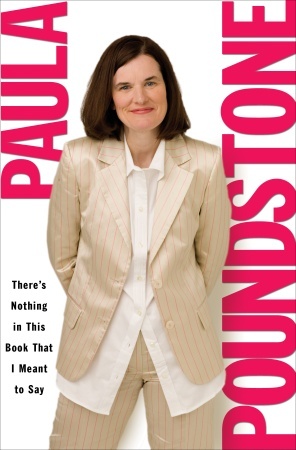 Paula Poundstone: Gosh, I loved listening to Bill Cosby albums. That was the first comedy I realized was stand-up. It wasn’t until later that I figured out he recorded it in night club. Standup was a mystery for me. LAM: Who else influenced you? PP: I was devastated when I learned that Johnny Carson read cue cards. I thought he made all that up. I loved sketch comedy with Carol Burnett, and of course, Mary Tyler Moore. Plus, my family and I just bought the first season of Green Acres on DVD. That series had a fair amount of comic innovation. LAM: In your book, There is Nothing in this Book That I Meant to Say, Mary Tyler Moore even wrote the forward introduction. PP: She did. I had always idolized her growing up and then I finally got to meet her at an awards show. So I wrote her a letter after that asking her to be a part of the book. And then I bumped into husband on plane. So, it was meant to be. I’ve seen her in New York a few times – and even stayed with her. She has all these beautiful antiques. Some of which I broke. In her guest bathroom. Ok, so I broke her soap dish. LAM: Is it true you wrote your book in longhand? Was writing it cathartic? PP: There you go with those big words. You know, Charles Dickens wrote his books in longhand, too and he didn’t even have a ball point pen. I like the drag on the pen but I ran out of ink many times. The book took me nine years to write and I miss it now by having it as a ritual. It’s a series of bios of towering historic figures – they have their story, I tell my own. I felt a little presumptuous writing it until I had one of those lighting bolt experiences about it. No matter how interesting someone was, I applied it to my own life in the book. For instance, Abe Lincoln’s mother died of milk disease. And I thought, you know my mother had a headache once. Very few people were doing jokes on Lincoln’s mother, so it was pretty wide open territory. I also wrote about people such as Helen Keller, the Wright Brothers and Beethoven. For research, I read about four biographies. Some from the children’s section in the library. LAM: I listen to you on the NPR show, Wait, Wait, Don't Tell Me. It that a fun project? PP: Part of joy of show is that smart people are on the show, so I throw off the curve. I’m kind of the village idiot of the show. Topics can be as complex as politics…with the kind of questions smart people are embarrassed to ask. It has an everyman quality about a lack of information most of us have. Some of the stuff is made up, so they try to trip us up. LAM: Speaking of smart people, do you have favorite heroines in fiction? PP: I guess it was Nancy Drew when I was little. But I’m an off brand girl. I mostly read Trixie Beldon, who was an off brand girl detective. Sort of like instead of having a Barbie, I had a Tammy doll. Who was like Barbie, but less flexible. And of course, I loved Hazel the maid on television. LAM What are your favorite qualities in a woman? PP: A sense of humor. And someone who is well-read and half way intelligent. I’m impressed by anybody who knows how to fix things. Most of my feelings are kind of genderless, but I do like a counter balance that I bring to the party. When I was a kid I thought someone with straight blonde hair and red lipstick was the most beautiful thing. I thought that I should be like that. LAM: And your favorite qualities in a man? PP: The same. But, with less red lipstick.